Kaylee has looked after our cats and house sat since 2007. We can’t recommend Kaylee highly enough, it’s so nice being able to go on holiday knowing that your pets are going being thoroughly looked after, it really takes the stress out of leaving them behind. Whether we are away for a couple of nights or even a month, when we get home, they are always as content as when we left them. Without Kaylee we wouldn’t have been able to leave our Carter cat even for a night as he needed regular medication for his asthma and other problems. Thankfully Kaylee was also around on a few occasions to rush him to the vet. He loved seeing her too and would always perk up when she popped in the consulting room to say hello at the vets. We really don’t know what we would do without her! Fantastic service would highly recommend. My dog Bumpy hates to be alone and so leaving him has always been hard. He has never been caged so kennels would be out of the question. Then we found precious pets. The lady came for a pre visit to talk about my dogs routine, food, walks, ect. She was a veterinary nurse so that made us feel even better. Look forward to using them for my summer holiday and wouldnt go anywhere else. Thanks so much for taking such marvellous care of our cats whilst we were away. Fantastic service which I highly recommend. Just a quick note to say how fabulous Sophie is. She has really looked after my Poppy and Guinea pigs very well and I always return to a very happy household! Thanks! We are always very happy with the service that Precious Pets provide, we always use them when we go away. Thanks. We had never left our dog Pablo before so were a little nervous but Sam was fantastic. Will always use them if we go away in the future. Highly recommended. I’m very happy to leave my cats with Rachel, I always come home to happy cats! Both Amber and Gary are very competent, caring and trust worthy people. They show genuine care towards Woody and it’s reassuring to know he’s in such safe hands. 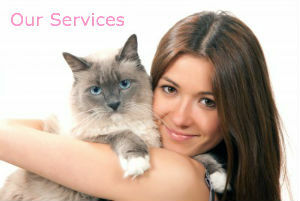 I have used precious pets for 2 years and am always happy with the great care my cats receive. We used precious pets for the first time this christmas, we were a little worried about leaving our dog Jack but we are more than happy with the care he received. 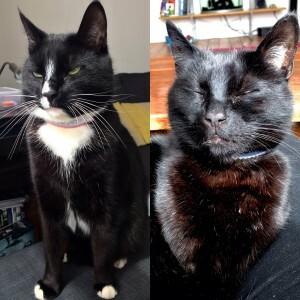 We also received updates and pictures to reassure us and Jack was very content and happy when we returned home! Just wanted to say how please we are with Liana. She is very attentive to Woody and they are getting on great. She sends me regular daily updates too which are much appreciated. Liana has provided a great service. The updates via WhatsApp were a great idea and gave us assurances that Wilson was ok. It’s clear that she is very passionate about pets and will not hesitate to use her again in the future. Prescious Pets has been able to provide me with a flexible and excellent service at extremely short notice in an unforeseen emergency. I absolutely trust that the sitters assigned to my cat are giving her the attention and play she needs. I am reassured, when I or friends have been able to see my cat, that she is happy despite my extended absence. I thoroughly recommend Prescious Pets. Thank you.